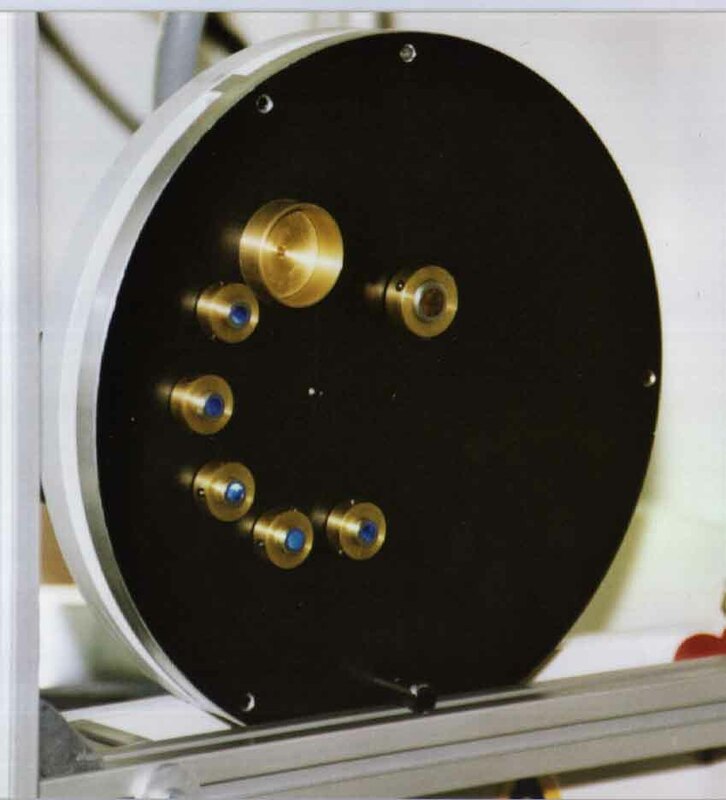 As an example of a cooperative venture based on the very flexible configuration of the 1100-series readers, a new automated measurement system for radioluminescence developed as part of the doctoral research of Gunther Erfurt under the direction of Matthias Krbetschek at the Saxon Academy of Sciences at Liepzig shows the possibilities of the 1100-series platform. 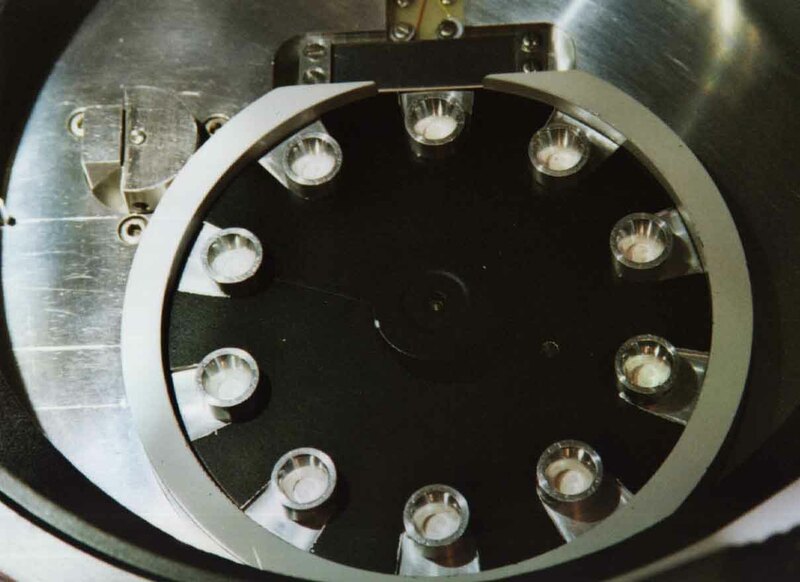 In the new technique of radioluminescence dosimetry developed there, it became desirable to build a multi-sample measurement system where a number of samples could be irradiated and measured at one time. 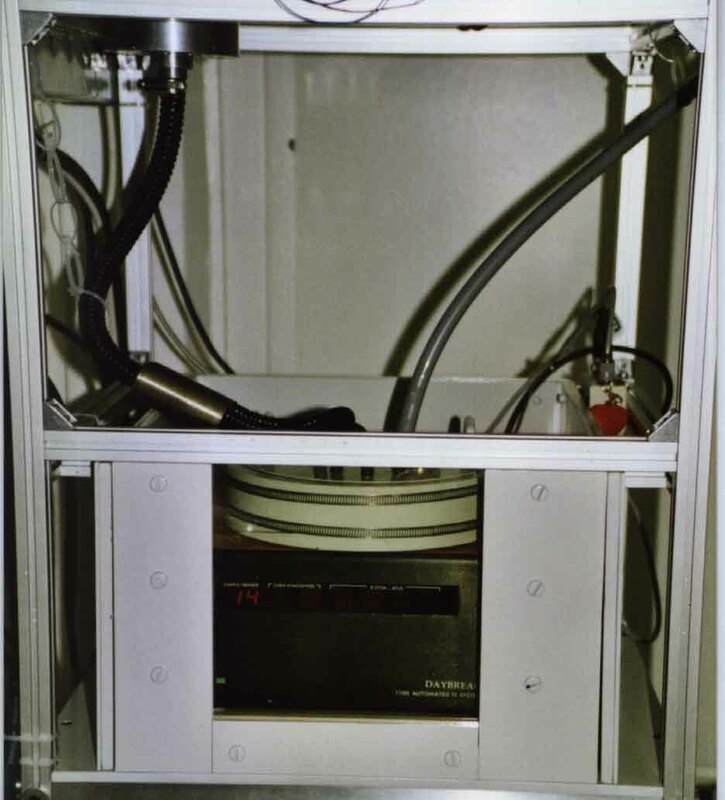 The 1100-series base unit proved to be a suitable platform for development. 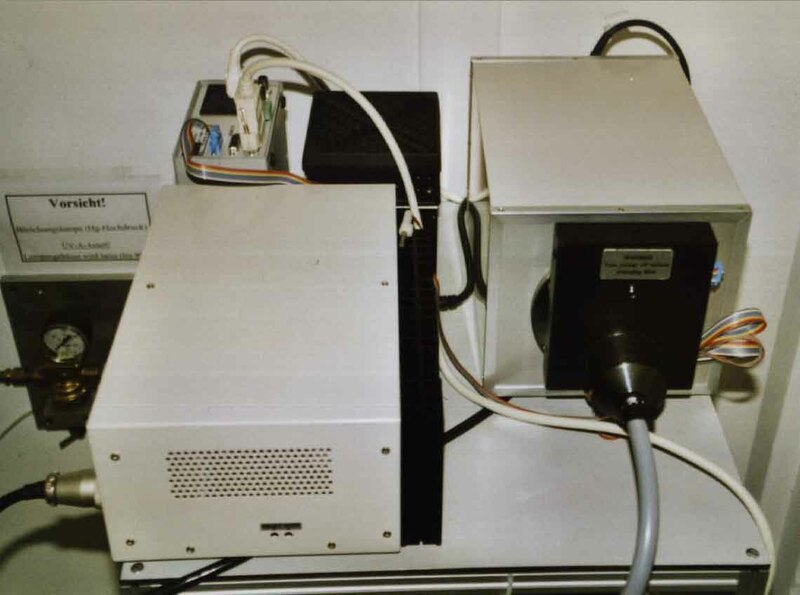 Daybreak modified the 1100 to move separately a two-part sample platter, the lower part having ten beta sources, the upper carrying the samples, and provided a platter design to our collaborators. 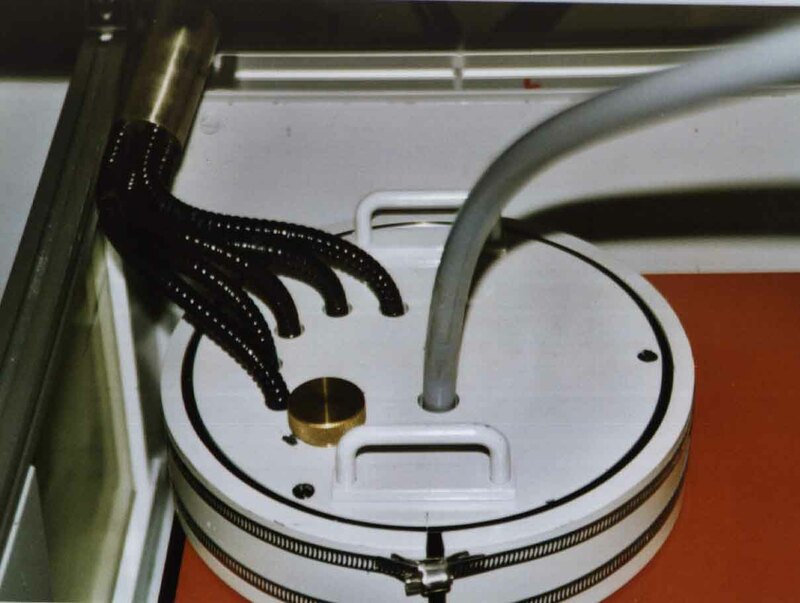 By means of a coaxial shaft where the phasing of the two platters was controlled by the host computer, it is possible to turn the sample irradiation 'on and off' by moving the sources under a shielded portion of the sample platter. Several papers, submitted or in press, may be downloaded below. 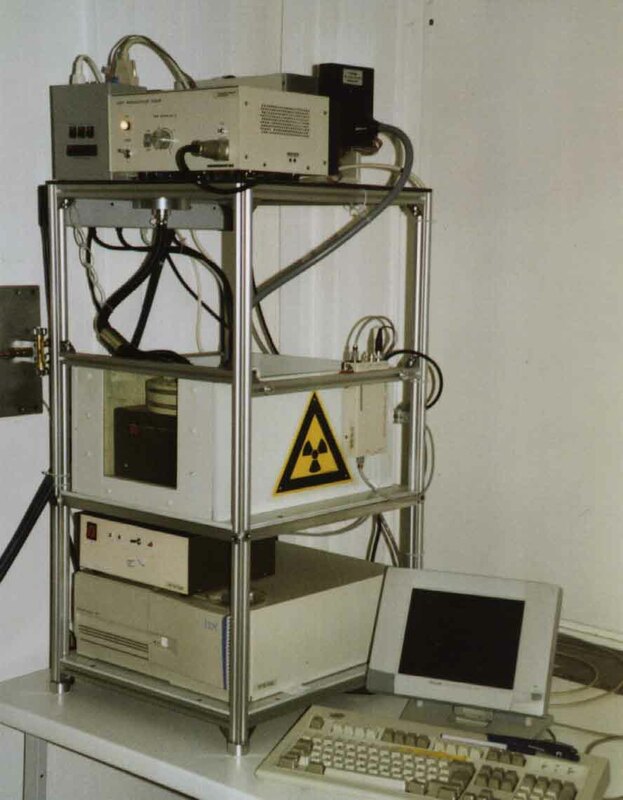 We provide a few photos of this instrument to supplement the papers. This is intended as a joint venture so that anyone interested in this instrument may be able to purchase one constructed by the Saxon Academy of Sciences on a Daybreak platform. 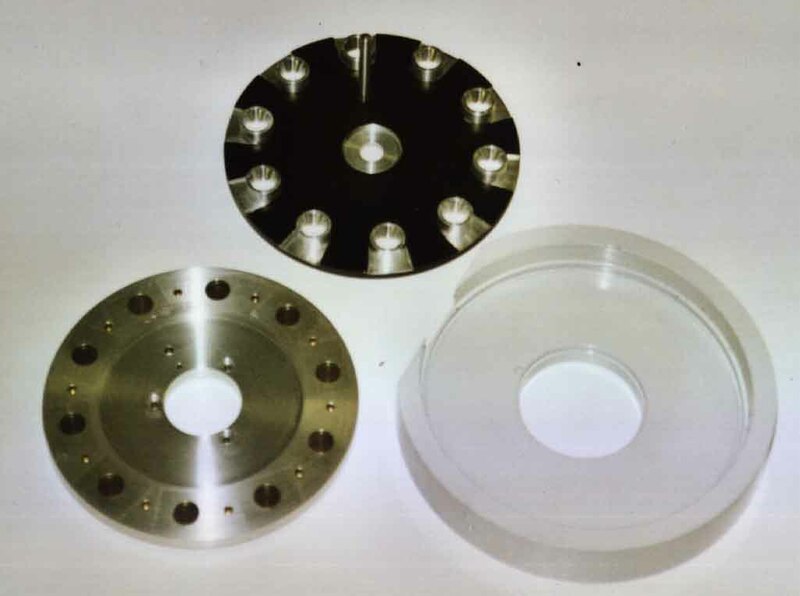 In this instance of a promising technology, Daybreak absorbed the development costs, something we are willing to do if there is an intriguing line of research that may someday bear fruit as a commercial instrument. Gunther Erfurt won the student prize for a poster at the 2002 LED Conference at Reno for this work. 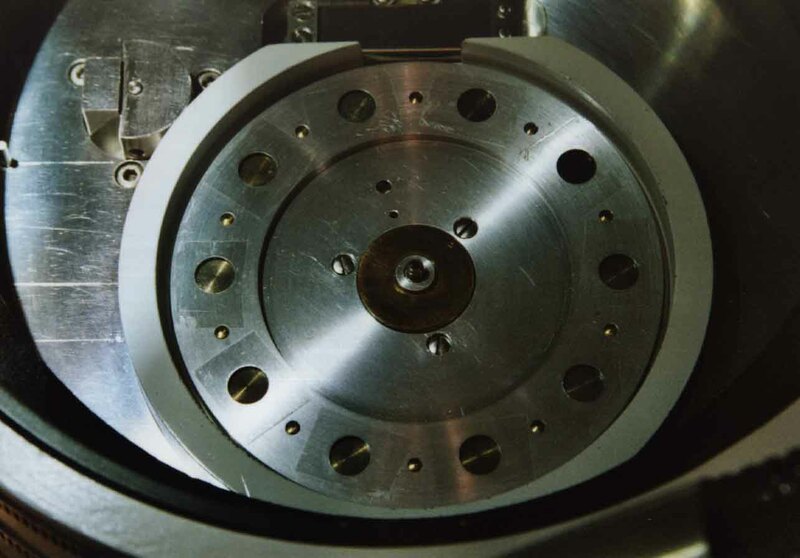 He provided some photos so that you may get a better idea of the working of the instrument. Read the last paper cited above first, before proceeding to the photos below, as a more informative key.